A session of “Update of Transitional Justice in Taiwan”, among the 4-days seminar as “International Forum of the Mission of the Church in Taiwan Today”, was opened in the morning on February 15. Two major speakers, Dr Wu Jui-jen, a research fellow of the Institute of Taiwan history in Academia Sinica, and Rev Omi Wilang, a member of the Presidential Office Indigenous Historical Justice and Transitional Justice Committee, was invited to report their respective observation of how transitional justice should be implemented within both the period of white terror period from 1949 to 1991 and the 400 years’ historical exploitation on Taiwan aborigines. After briefing some major horrendous terror events and atrocities committed by KMT, the Chinese Nationalist party led by the dictator Chiang Kai-shek, Dr Wu Jui-jen lamented deeply that up to now there was still not even any KMT perpetrators was convicted in the court. Several times in his reports, Dr Wu lashed out on President Tsai Ing-wen’s wariness to chase after these still unidentified perpetrators as she seems too cautious to kick off this urgent and tough job! In the meantime, Dr Wu affirmed that the task of transitional justice in Taiwan should be a grand team work connecting all the necessary resources and networks across diverse sectors and social layers. Dr Wu also paid his high tributes to what PCT had contributed to Taiwan society, as she is the only existent religious group with civic consciousness. 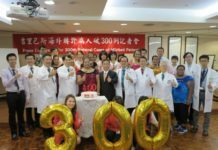 “The only pity is that Taiwan religious group, like PCT possessed with a fervent civic consciousness to speak out for the people, is so scarce!”, Dr Wu said, adding that, in order to cast Taiwan as a vibrantly dynamic and diversely democratic society committed to transitional justice, all civic groups in Taiwan should work together with global citizens instead of fighting alone! Mentioning the legal case of Tama Talum, a aboriginal Bunun hunter prosecuted for possessing hunting rifle illegally, Rev Omi Wilang pointed out this event fully showcased the giant gap between current aboriginal cultures and the actual administrative legalities within the governments in Taiwan. Quoting the PCT statement, Support of the Indigenous Peoples to Recover Their Rights and Autonomy officially delivered on 18 October 2016, “when we reexamine the indigenous peoples’ mission, we realize that we have made progress in recovering tribal languages and traditional territories and in protecting and raising awareness of their autonomy. However, there remain many instances when the gospel enters the tribes, the cultural artifacts and rituals are arbitrarily deemed evil. These are pejorative concepts and activities. They continue to hurt many indigenous peoples. 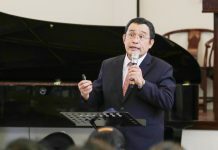 Through theological reflection, we repent of these mistakes and confess our sins to the nation and to the indigenous peoples”, Rev Omi Wilang stressed that the innermost core of historical and transitional justice for the aborigines on Taiwan is just let the aborigines “take back what they originally have from the very beginning!”. Ms Gemma Cruz, the respondent of this session of transitional justice, expressed she was extremely impressed by a critical difference, explained by Rev Omi Wilang, about a nuance generated between “balay(truth)” and “s’balay(reconciliation)”, especially when the aborigines struggled with the government to restore a historical truth and search for a permanent peace in reconciliation. Ms Cruz agreed that, for the sake of justice, the Taiwan aborigines absolutely deserve to speak out more about those suppressed voices and subjective interpretations of their colonized past in sufferings.